Air Lacrosse School Pack is ideal for school and club use. 6 x Blue Lacrosse Sticks. 6 x Red Lacrosse Sticks. 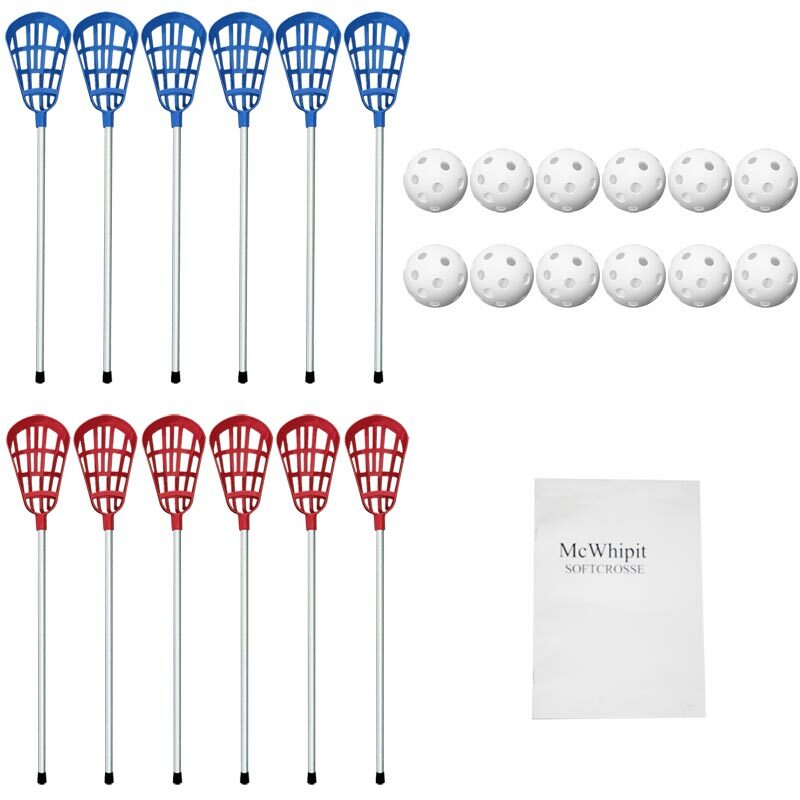 12 x Air Lacrosse Balls. 1 x Lacrosse Rule Booklet. Large 32cm catching area improves ability to catch when developing skills. Flexible scoop shape improves scooping ability during ground ball pick up. Secure base design improves ball retention during cradling. Improved pocket shape enhances ball retention, accuracy and control.